BEVERLY HILLS — Never underestimate the staying power of a pig. Since conquering TV with The Muppet Show in the '70s, the Muppets have never been too far from our screens, big and small. 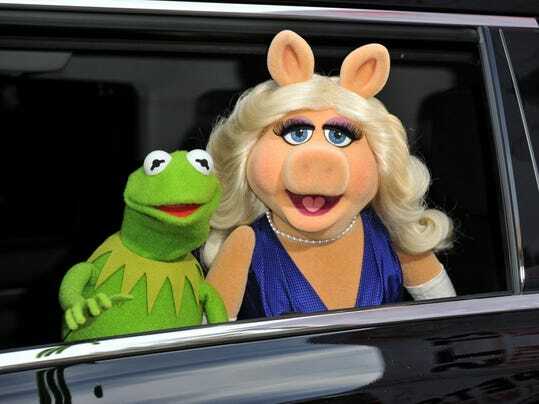 And now, come fall, they'll be back on ABC in The Muppets — led, as usually, by Kermit the Frog and Miss Piggy. The gimmick for this new series is that it's a reality show taking us “behind the scenes” at Miss Piggy's talk show, Up Late with Miss Piggy. 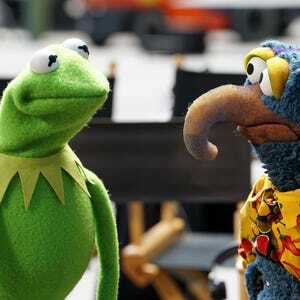 And yes, of course, Kermit was on the panel at the Television Critics Association press tour. And he was asked about his relationship with Miss Piggy. Which brought forth Miss Piggy, who immediately began complaining about the chairs and the men's lack of chivalry and the terrible way most of the critics dress. When she's right, she's right. The goal with this show, says Prady, is to be “exactly the same and completely different” from the original Muppet Show. And that includes recreating the hidden-camera look of a reality show — even though it's impossible to catch a puppet off guard or capture a puppet's casual moment because, you know, they're puppets.